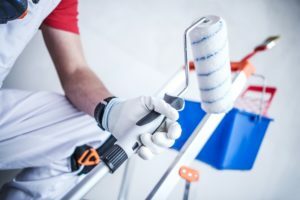 Our skilled and experienced team are fully equipped to adapt and to complete your painting and decorating projects, on time, on budget, and to the highest standard, whether the work is in your home or a commercial space. Would you like to make your painting and decorating ideas a reality? our painters and decorators can help you realise your dreams, whether you live in anything from a new build property through to a listed building. We guarantee a high-quality service. Call us today for a free quotation. Got a commercial space that needs a new lease of life? If you’re a business owner in Tameside or Cheshire, we can provide the painting and decorating services you need to transform your property. Our staff are professional, experienced, and fully qualified to make sure your office or retail project is completed to the highest of standards. 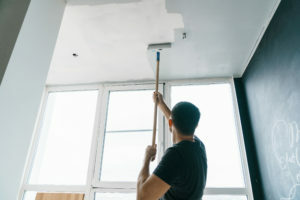 If you’re a block property manager or management company then you need to be able to depend on your painting and decorating contractors. Due to the depth of experience in our team, we understand the demands of property management and maintenance better than most. 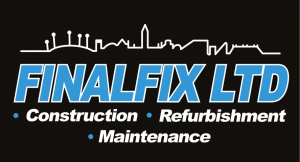 Finalfix has a great team of painters and decorators on hand for all aspects of decorating, including interior and exterior work. We specialise in Insurance repairs following leaks, and fire damage. Over the years we have built up an excellent relationship with Insurance Companies and Loss adjusters in the Manchester area. Why use Final Fix painting and decorating service? If you would like a free none obligation quote call us at 0161 465 9112 or fill in the form and we will contact you.